With a growing demand for fitness opportunities in colleges and universities, we set up the Sport and Fitness Institute which provides research, product development, exercise programs and digital support to help students and communities live happier and healthier. 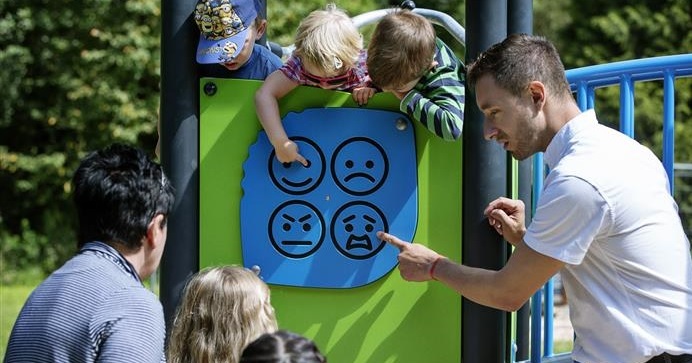 Based on market research through the KOMPAN Sport & Fitness Institute, we have identified the four most popular types of training and translated them into accessible training solutions. 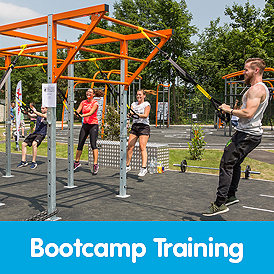 View the brochure to see our packages for Circuit Training, Cross Training, Street Workout and Bootcamp. 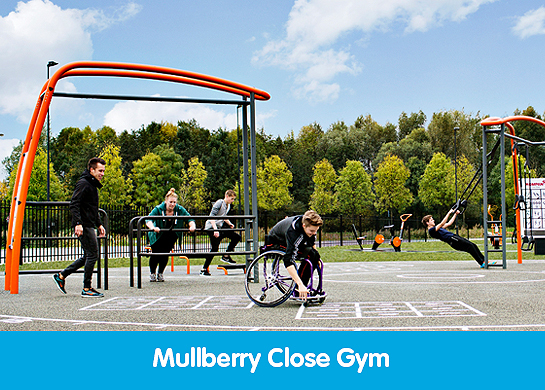 Our range of scalable resistance fitness equipment is perfect for challenging all abilities and can be adjusted depending on the level required by the user, offering an adaptable area with no usage restrictions. Depending on the space available, equipment can be purchased individually or combined to create a longer exercise circuit or comprehensive fitness solution. Looking for something more challenging? 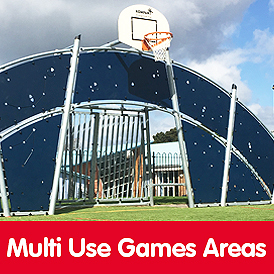 We can work with you to build a complete obstacle course that will have users running, jumping, climbing, weaving and ducking through high quality, durable outdoor equipment. 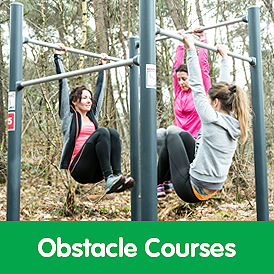 Encourage balance, concentration and co-ordination while pushing fitness levels with a large choice of easily accessible obstacle course equipment or combine with our extended range of exercise equipment to offer students, teachers and educational staff alike a varied area for activity. As schedules become busier and demand for our time increases, finding the time to dedicate to fitness and exercise is more difficult than ever before. With an on-site fitness area that offers opportunities to work out during free-time or a spare study period, students can take greater control over their health and fitness levels, even if it’s just for ten minutes a day. Alternatively, universities and colleges can promote team building activities and use the areas for dedicated training sessions. Universities offering Sport or Physical Sciences courses aren’t required to provide students with an area to train or Sports Clubs to meet, however, the practicality of having a versatile space that can be used for health and fitness purposes show numerous benefits. Improve the appearance of student break areas with functional training rigs and aesthetically-pleasing activity runs and show students that the university cares about their wellbeing and lifestyle choices. 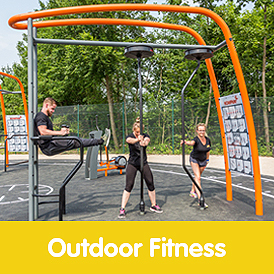 At Kompan, we can offer a full range of products and designs to universities and schools looking for outdoor fitness solutions. Whether it is an individual fitness training unit for a small area or a comprehensive training solution with space for larger groups, combination work-outs, shadowing, group classes and personal training, rest assured that Kompan will be able to create the perfect solution for the space you have available. Designs can also include suitable flooring options with designated areas for activity and safety guidelines. All Kompan outdoor fitness equipment is supported by our Kompan Training App, encouraging users to stay motivated and work out regularly. The Kompan app functions as an online personal trainer and will show users how to perform exercises safely and get the best nutrition to keep a healthy lifestyle and complement training. Get in touch with our team today on 01908 201 002 for further information about our products and services or to request a design and installation quotation. Our equipment is scalable, so supports all abilities and can be continually used as people get fitter and stronger. 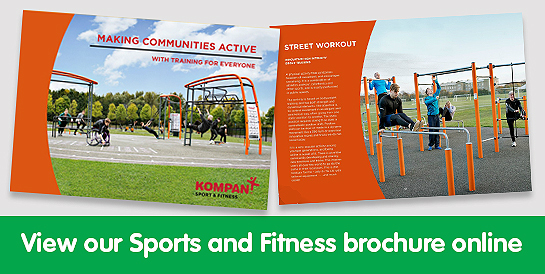 KOMPAN worked with the University Campus Sports team, together we created a versatile fitness area that provides a fantastic outdoor space for students and staff to be active and healthy. The new facility provides a unique space to develop performance sport at the University. 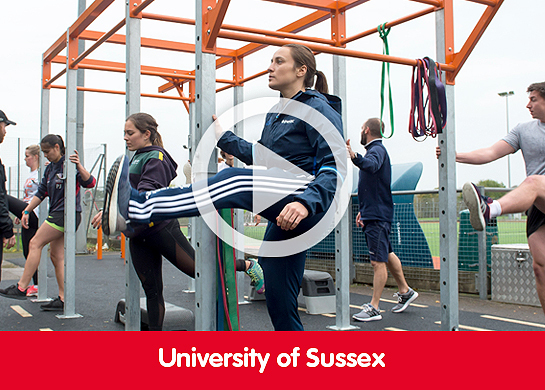 The team at the University of Sussex Campus Sports Centre were looking to provide an outdoor fitness area to help enhance all areas of performance sport at Sussex, as well as offering a free resource for the campus community during general opening hours. The aim was to also provide a space that could support the very busy gym, giving the students an area outside where they can be active. Watch the video to see the kit in action at the opening.